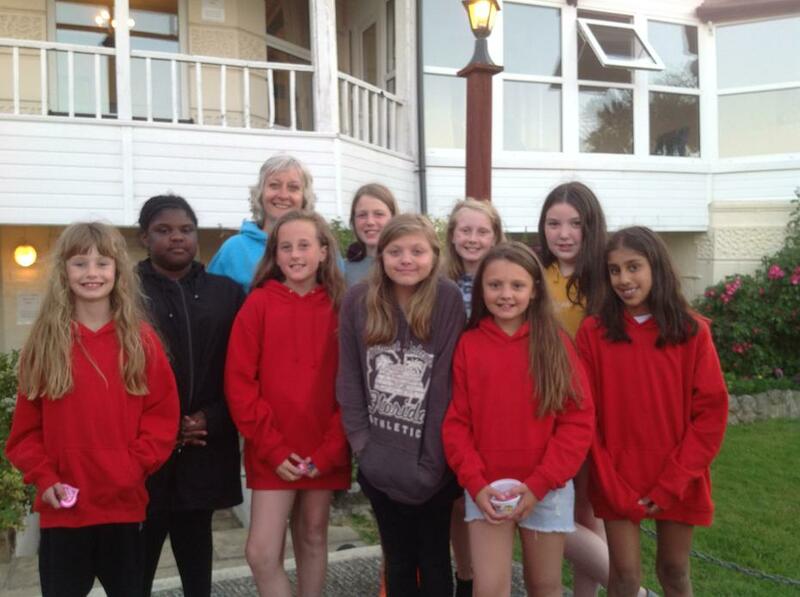 All arrived safely on the Isle of Wight. Despite the traffic on the M25 we managed to get an earlier ferry and were able to spend even longer at Robin Hill. We had lunch on arrival and then boarded the 4D simulator for a science fiction Wild West experience. We then set off for a journey around a range of activities in the park including a pirate ship, climbing frames, toboggan run and much more. 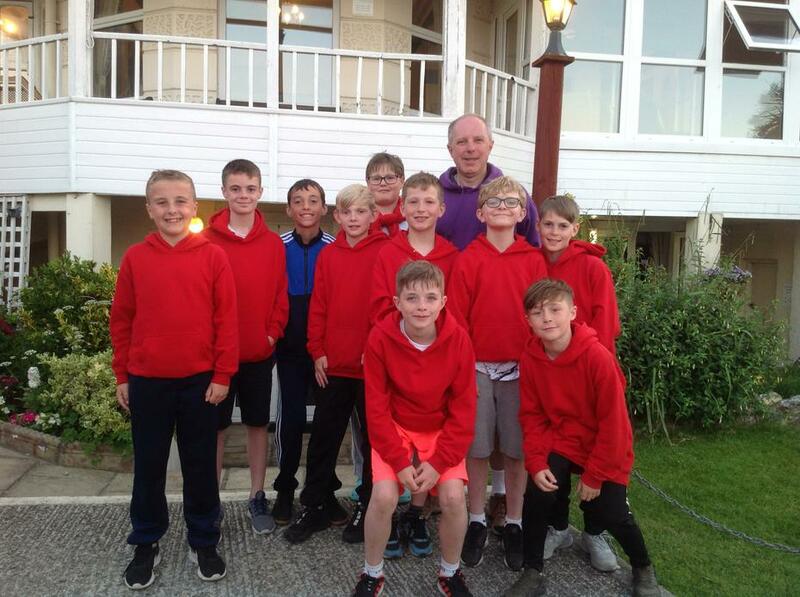 Everyone enjoyed themselves, Frank managed to rip the back of his trousers on the climbing frame and Ben lost his wallet - but not before he had spent every penny that was in it! We then journeyed to our hotel and sorted out everyone into their rooms which the children were quite impressed with. It was then time for evening meal and large plates of pasta were consumed. After a little rest we went down to the beach for a walk and some games as well as a paddle in the sea. 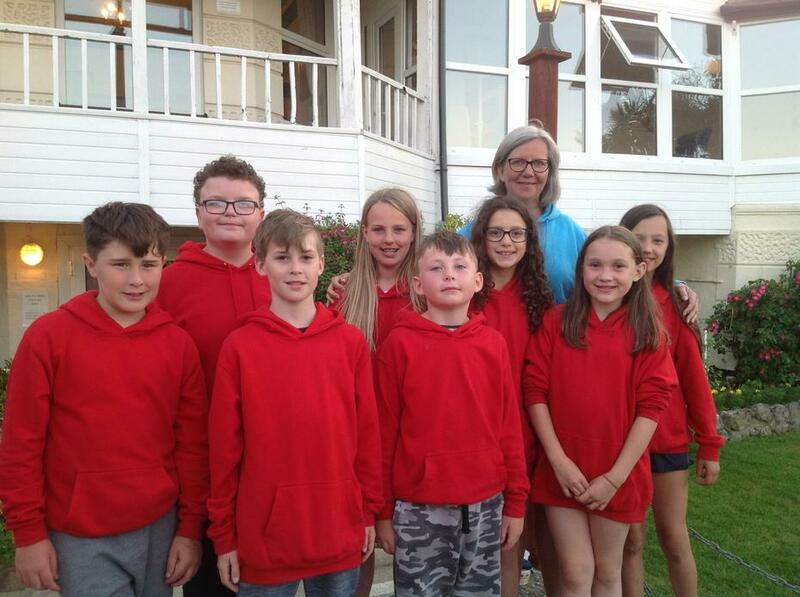 We finally got back to the hotel at 9.30pm and sent everyone to bed - several children maintained that they couldn't find the wash kits but it was clear they hadn't made much of an effort - Jayden's Wash kit was just sitting on the top of his clothing so he was end off for teach cleaning! Time for the teachers to have some well- earned tea and cake! Tuesday started at 12.40am with one of the children missing their mum followed by another child at 2.50am who did not feel well. Not much a sleep for staff as it was soon time to get up and get everyone ready for the day's adventures. After a hearty cooked breakfast we set off for Osborne House, the Island home of Queen Victoria. The children went on a tour of the house and saw how the Queen lived in Victorian times. I was very impressed with the questions the children asked the guides and how much detail they observed in the house - probably the best group of pupils we have taken to Osborne House. We then walked to Swiss Cottage where Queen Victoria's children had their own full size playhouse and toy fort as well as their own gardens to grow food and flowers. We then had our lunch and set off for the swimming pool. Great fun was had in the pool with the diving boards and floats and Miss Byrne showed off her diving skills. 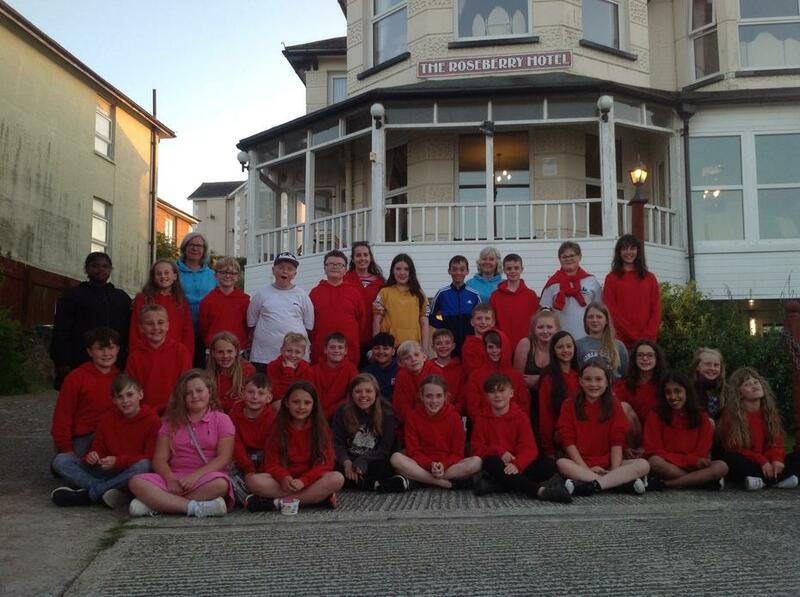 It was then back to our hotel for evening meal before setting off once again for the Ryde Super Bowl. The children enjoyed themselves with the highest scoring child being Kieran Zammit. The teachers game iwas a close fought competition with Mr Haynes the eventual winner. It was then back to the hotel for a good night's sleep - hopefully without any interruptions tonight! Everyone slept through the night with no interruption. Those who were slow in getting up were encouraged with the use of a water pistol and soon everyone was ready for the day's activities. Today was our transport themed day so we walked up to the station and boarded the train on the Island LIne which rattled across the island to Ryde. We then boarded the Fastcat to Portsmouth. Our first stop was HMS Victory where we took the children on a tour of Admiral Nelson's flagship. We found out how the sailors lived, ate, slept and were punished including hearing the origins of the phrases 'a square meal', 'letting the cat out of the bag' and 'rubbing salt in the wound'. Several members of the public tagged along and listened to Mr Haynes' stories about the ship and they were very complimentary about the children's questions and good behaviour We then visited action stations where the children undertook a number of physical activities including a Ninja Warrior training course. We then managed to fit in a boat tour of the harbour as well before boarding the Fastcat back to Ryde and then the train back to Shanklin. The train was full of elderly people and it was nice to see the children offering their seats to them. Back at the hotel we wrote postcards, had our evening meal, visiting the local park and a trip to the hospital to check out Gabrielle's injured elbow - it was just bruised but it did look good in a sling for a while! On the way to the park we found a lovely sweet shop so we popped in and consumed lots of sugary sweets and rock. 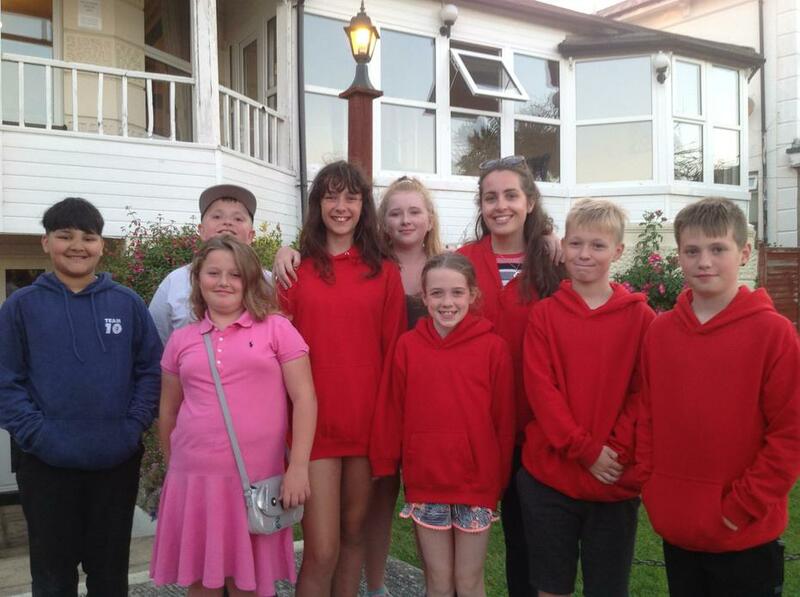 It was back to the hotel for a slightly earlier bedtime apart from Gabrielle, Miss Byrne and Mrs Deas who arrived back from the hospital at 10.30pm. We woke to the sights and sounds of rain, strong winds and mist so our outdoor adventures were looking a little challenging. After another hearty breakfast we set of for Alum Bay. Our first visit was to the Needles Old Battery which required a clifftop walk. Although the rain had stopped the wind was howling around us and we couldn't even see the top of the cliff with the battery due to the low cloud and mist. We finally made it to the Battery and our National Trust guide was impressed with the children's knowledge and good behaviour. We explored the Battery including going along the underground tunnel to the cliff face. As we left the Battery the sun shone through the clouds and the day looked more promising. We walked down to Alum Bay and prepared to get on the chair lift and travel over the cliff edge down to the beach. At this point Lui told us he was afraid of heights and wasn't getting on the chairlift. With some persuasion and a few tears he bravely got on the chair lift holding on tight to Mr Haynes. By the time we got halfway he was smiling, saying that it was great and asking to travel back with one of his friends beside him - a great achievement! We had lunch and then travelled to Sandown for an afternoon on the beach and pier. Most of the children took a dip in the sea and some even went for a swim. The sea was great fun as the wind had built up some of the biggest waves we have ever seen in Sandown. Miss Byrne and Mr Haynes accompanied the children in the sea in their role as lifeguards - it was a little cold! The children all enjoyed their time playing on the beach and we had great fun burying Kyle in the sand although he did later complain of too much sand in his underwear! It was then time to visit the pier with its arcades and snacks. Hundreds of 2p coins were fed into the machines and lots of chips, doughnuts and rock were eaten. After our evening meal at the hotel all the children had £1 to spend in the mini arcade at Shanklin. These machines printed out hundreds of tickets which the children exchanged for little prizes in the local shop. It was then back to the hotel and time for bed.